One technology that is wellpositioned to address the challenges that Financial Services Institutions face is the Virtual Private LAN Service (VPLS) based on Carrier Ethernet. 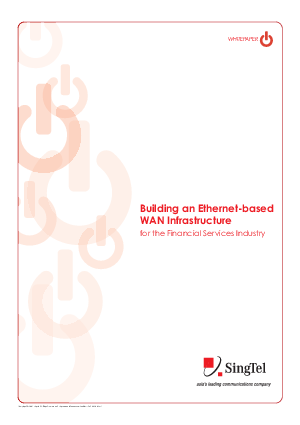 This is a scalable Wide Area Network (WAN) solution that overcomes many of the limitations of traditional mainframecentric infrastructure while protecting the FSI’s investments in its legacy systems. Compared with newer Internet Protocol (IP) networks, VPLS also presents a far more robust, reliable and secure connectivity solution.